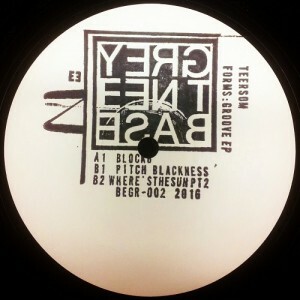 After impressive double debut on Sähkö’s sublabel Keys Of Life, Finnish producer Niko Pettersen aka Teersom quickly set up his own label Basement Grey Records, which has now brought out a new solo release from the Turku native. By the sound palette, three tracks conceived during hardware trials in the studio are closer to the 2013 debut than to Basement Grey’s first release and simultaneously “Forms: Groove EP” proves the ongoing emergence of the original Sound of Teersom, because it’s not easy to identify sources of inspiration feeding the artist’s mind. Teersom’s personal way is to put out a compound of stone-cold, mechanical tracks that in this occasion cherish, as the title suggests, the groovy side of electronic music. 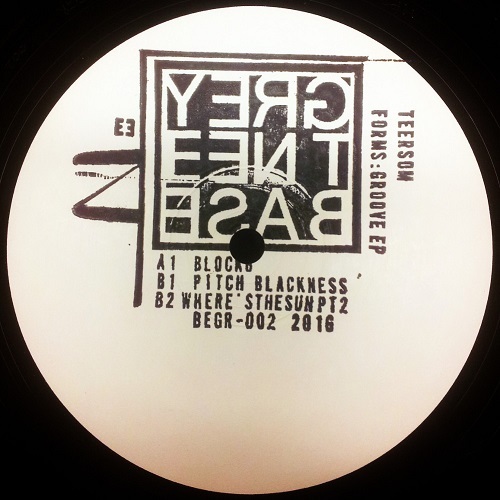 Filling about eight minutes of the A-side, “Block6” indicates Teersom’s floor ambitions in a complex track built on metallic, refracted sequences where we can intercept broken Morse codes. The B1 track “Pitch Blackness” goes over 130 BPM and is a maze of abstract signals, hi-hats and random horn stabs, everything tending at deliberate cacophony. Teersom’s captivating techno journey concludes with “Where’s The Sun Pt. 2”, which is exposed to the particle shower with acidic pings and weighty bass support.